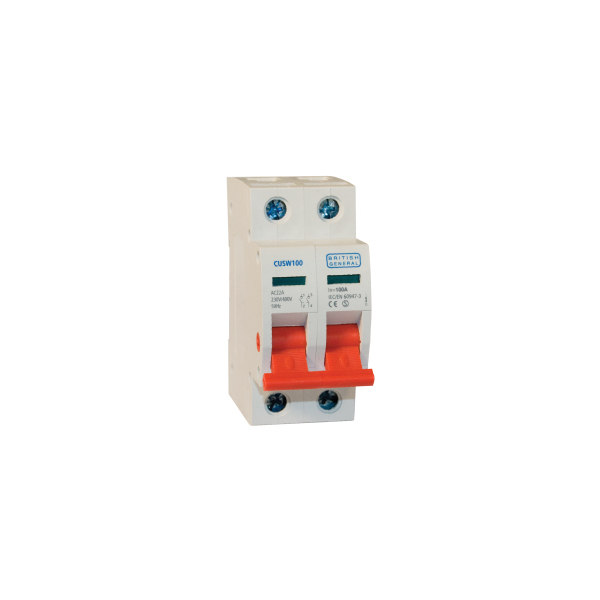 The 100A rated Main Switch is a switch disconnector which can be used as an Isolator, and can be used for residential and light commercial applications. The operating switch can be locked in the ON or OFF position, using a device lock (CUA10). The Main Switch has a positive contact status indicator, i.e. when green window is visible this indicates that there is a 4mm contact gap.